This a 4 bedroom 2 bath waterfront home on Lake Winnipesaukee with an expansive 75 ' +/- sandy bottom shoreline with steps leading into the water and a 40' dock which will accommodate up 2 25' boats. 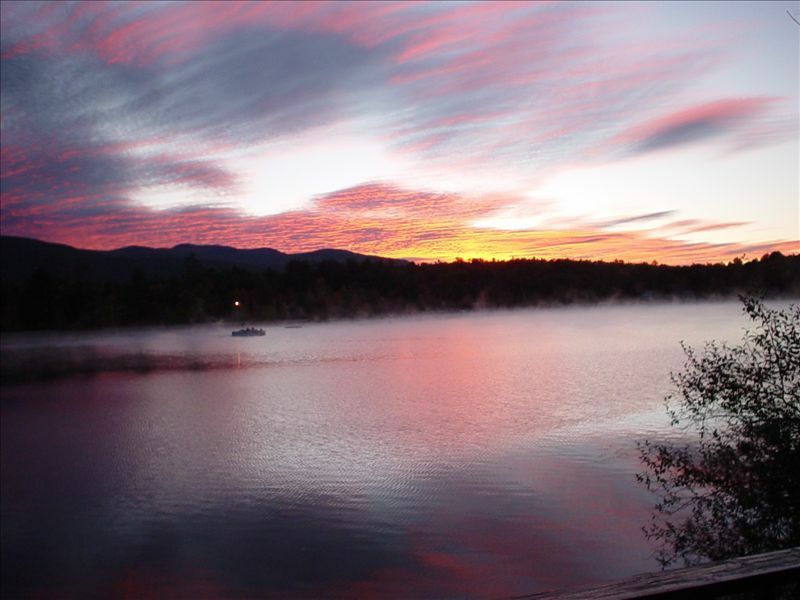 Beautiful views of the Ossipee Mountain range!! On the first floor you will find the open concept kitchen & living room with sliders leading out to the deck. As well as 2 bedrooms & 1 full bath. Upstairs there is a large master bedroom with with a sitting area & sliders leading to a small deck. there is also a 4th bedroom and 1 full bath. Full unfinished basement with a gas fireplace, pool table, ping pong table, dart board, refrigerator, 2 TV's, couches, chairs and 2 sliding glass doors leading out to a patio.. Wi-fi internet, VCR, DVD player, W/D & gas grill. Pets allowed with owner approval and a pet fee of $100 per pet. Rate $3150 week. If you would like to rent linens, the fee for this property is $135 for sheets and $12 per person for towels. If you would like to have the beds made for you, the fee is $8 per bed. "The property was clean and well maintained. I do recommend the property to friends and family.I have been vacationing on Lake Winnipesaukee for 45 years and I am especially fond of Moultonboro and Bal Moral.I always visit the Country Store, take a day trip by boat to Wolboro,and Meredith.I always ate at the Woodshed however, I have not been to the new Woodshed."